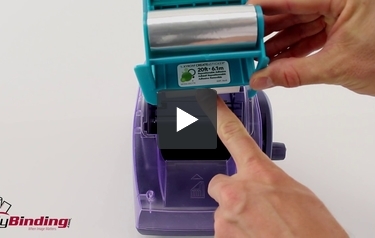 This acid-free refill cartridge is 20' long and fits into a Xyron 250 Create A Sticker machine. It allows you to create stickers from items up to 2.5" wide. The zyron refills were packaged very well. Came earlier than expected, works great! Awesome addition to my scrapbooking supplies!!! I like Xyron refill products, they are to work with and the price was great!! I purchased myself a Xyron sticker maker a year ago. It's convenient for making stickers for my planner and for identification stickers. You can print whatever you want, or copy and print and then put it through the Xyron so that the backside is now sticky. I took mine with me when I went to visit my grandkids and of course they needed one too. Now I get calls telling me that they need refills! Just a simple and easy to use product that is fun and useful. Not more to say about these refill cartridges aside from that they work for the Xyron XRN250 Create-a-Sticker machine, which I use all the time in my scrapbooking. I really like that they're repositionable because I don't always get whatever I'm trying to position in just the right place the first time. Welcome to MyBinding video. This is the repositionable refill cartridge for the Xyron Create-A-Sticker 250. Since you’ve fallen in love with your sticker maker and you’ve run out of sticker, here is a nice replacement. This is repositionable and has an extra function. But first, let’s remove the old one and put the new one in. Make sure the label faces out towards you and is the one that you want, put it all the way in and snap it down. And now anything that’s 2.5” wide or less can fit in the front and run out for up to 20’ in length on the back side. Each refill cartridge has a built-in set of tearing teeth. Simply rip it along the edge and it’s out and you’re done. And then just like any sticker, peel it off right from the back and place it down, but these are repositionable so you can remove them and place them again in the direct, the spot or the placement that you really wanted, even if they’ve already been stuck for hours, yet the new hold is remarkable. Repositionable refills for the Xyron 250. For more demos, reviews and how-to’s, check out MyBinding.com.